After representing RHS as an AVID demonstration site, 12 students were nominated as finalists for the Dell AVID Scholarship. 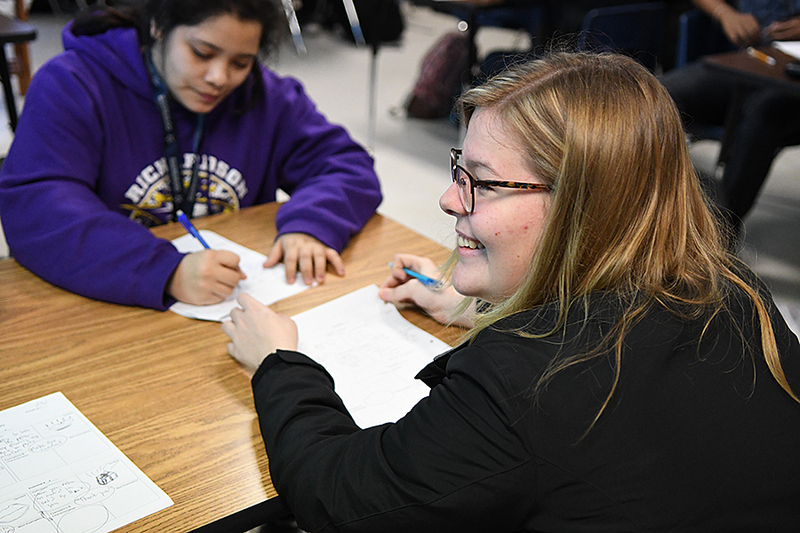 Nominees must maintain a 2.5 GPA, meet certain financial requirements and have attended a college prep course for two years during their junior and senior years such as AVID, Upward Bound or AP Strategies. The process of applying for the Dell scholarship starts during the first weeks of January. Brown said the Dell Scholarship is one of the most important goals AVID students have during the school year. “Senior year its a expectation to finish the Dell, and we prepare for this during the fall as soon as we come back from winter break – BAM its right there, and we talk about it a lot because of the nine essay work load,” she said.